Ever since Jyothika made her comeback post-marriage with the 2015 superhit 36 Vayadhinile, she has been extremely careful about the kind of films she would like to be associated with and known for. "I have made my fair share of mistakes in my first innings. But now, I've left my growing-up kids and come for work. 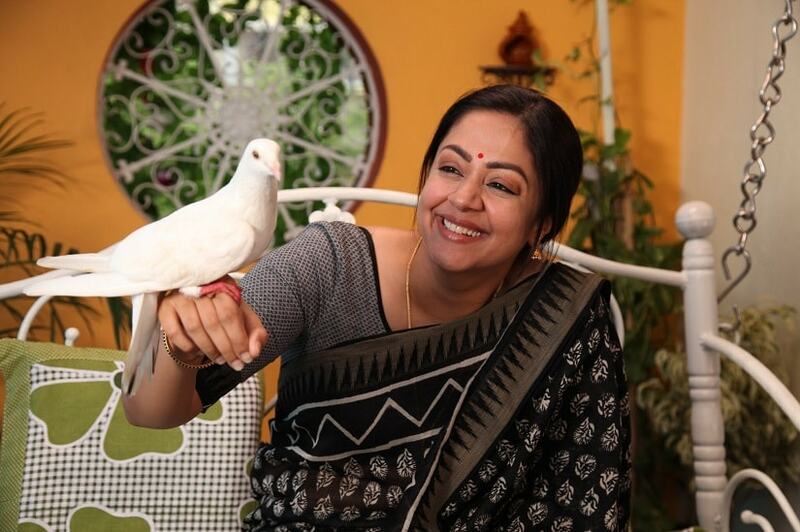 So, the film that I collaborate on should be really worth it and make me feel satisfactory," said Jyothika in a group interaction ahead of the release of Kaatrin Mozhi on 16 November. The film is an official remake of Hindi blockbuster Tumhari Sulu, which starred Vidya Balan in the lead role. Produced by Dhananjayan's BOFTA Media Works, Kaatrin Mozhi marks the reunion of director Radha Mohan and Jyothika after their commercially and critically acclaimed 2007 hit Mozhi. "More often than not women-centric films are heavy, and Kaatrin Mozhi stands out in this aspect. The story is well-scripted with a blend of humour and emotion. How women can easily balance their work and life against the age-old conjecture that they cannot tread both is beautifully portrayed in this film," said Jyothika, adding that the key element of the story is the husband and wife relationship which is presented without any cliches. "Unlike the typical husband characters from Tamil movies, this character Balakrishnan will be very supportive to his wife." Jyothika says she doesn't have ample time to assemble a film although she has the luxury of choosing her own projects now. "I'm just choosing from the scripts I get. I am being selective and saying no to some scripts. I think at this point where rapes and caste killings are unfortunately making most of the news, the need for strong content that empowers women is needed," she said. Talking about the stereotypes associated with the portrayal of women on screen in Tamil cinema, Jyothika said, "The women characters in Tamil films usually are just a namesake inclusion. At times, there will not even be a single sensible dialogue for the heroine. I always wonder why the directors write their female characters in such a way; they have women in their family, will they look anything like what they show on screen? I can't go for the characters that are the likes of Jenifer (from Vijay's Kushi) now; there's a big difference in the perspective and maturity when you are forty." With Nayanthara's Kolamaavu Kokila and Imaikkaa Nodigal minting the money at the box-office this year, Jyothika agrees that the market for heroine-oriented films is now scaling up. "For the past three or four years, most of the heroine-led films have been profitable too. Unfortunately, there have not been many women-centric films in the past. Now the trend is set, and not only female-centric films but also content-oriented low budget films are gaining much-needed attention. Pariyerum Perumal, Ratsasan are still giving a good run in the theatres," she stated. Showering praise on her contemporaries, Jyothika said, "I have absolutely liked Nayanthara's choice of scripts and the strong characters she portrays on screen. I loved how she effortlessly pulled off her role in Kolamavu Kokila. Keerthy Suresh is also doing a fabulous job. I just can't imagine the effort she should have invested to bring out the legend Savitri madam in her biopic given her age. It's rare to see such performances by someone so young. The new talents now are way better than what we used to be in our twenties or so. I wish they get as much attention and opportunities as they deserve." Jyothika revealed that 36 Vayadhinile is Suriya's favorite film from her second innings of the career. "Suriya and I always discuss the scripts we get before choosing the right ones. But we don't interfere in each other's decision. He liked 36 Vayadhinile the most in my second innings. After 36 Vayadhinile, I didn't get any scripts for nearly one and a half year. But after Naachiyaar, it's been raining scripts, and I'm carefully choosing from them. After Kaatrin Mozhi, I have signed two films, one for Dream Warrior pictures and one for 2D entertainment; both are to be helmed by debutant directors," said Jyothika. Jyothika, who is very protective of her kids, says they (Dev and Diya) watch all her films and feel proud about her work. "My daughter loves it when I ride the bullet and even wants me to pick her up in a bullet from school. They are yet to watch Naachiyaar for the type of content it is. 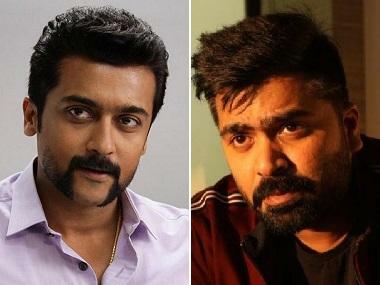 Suriya has been a great pillar of support for me till now, and that's the line of Kaatrin Mozhi, and that's also the main reason why I chose this film." Asked about how she balances her personal and professional live, Jyothika says, "I always make sure that my shooting is in Chennai and I prefer nine-to-six call sheet so that I can send my kids to school and then concentrate on my work. I will be back home around six by the time they would also be back and spend the rest of few hours assisting them with their homework, feeding and putting them to bed. 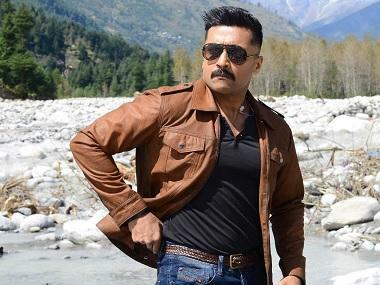 After nine, it's the time for Suriya and me to share how our day worked." Pointing out how difficult it is for actresses to hunt for good scripts and headline meaningful projects, Jyothika explains, "Women have to create a space for themselves in cinema or whatever the field is. Without making an effort or reaching out, I get the scripts that help me to create a space for myself here, and I think I'm blessed for such things to happen. Our male counterparts get a variety of characters, and unfortunately, we haven't been given that diversity. Now our industry is smoothing the path for such diversity to happen for heroines also. Since this arena is less explored, I want to give it a shot to such films and turning down regular characters."